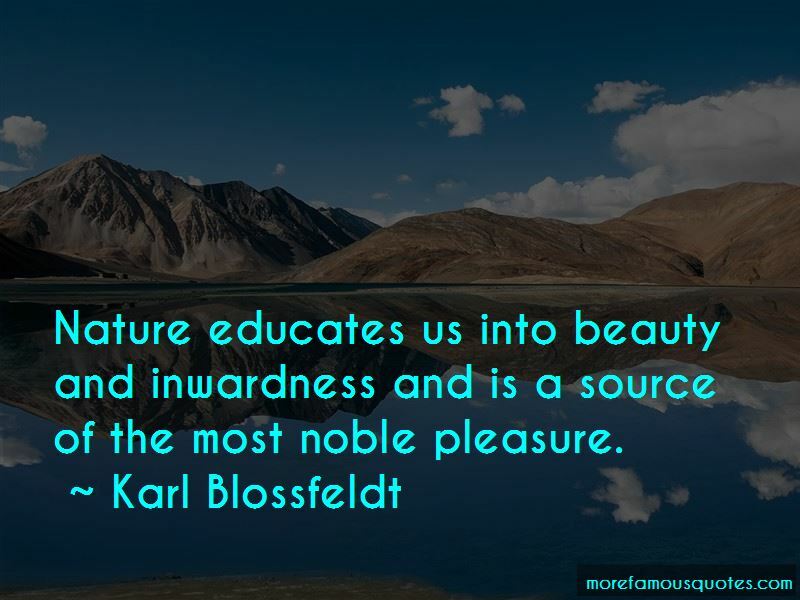 Enjoy the top 4 famous quotes, sayings and quotations by Karl Blossfeldt. If I give someone a horsetail he will have no difficulty making a photographic enlargement of it - anyone can do that. But to observe it, to notice and discover its forms, is something that only a few are capable of. 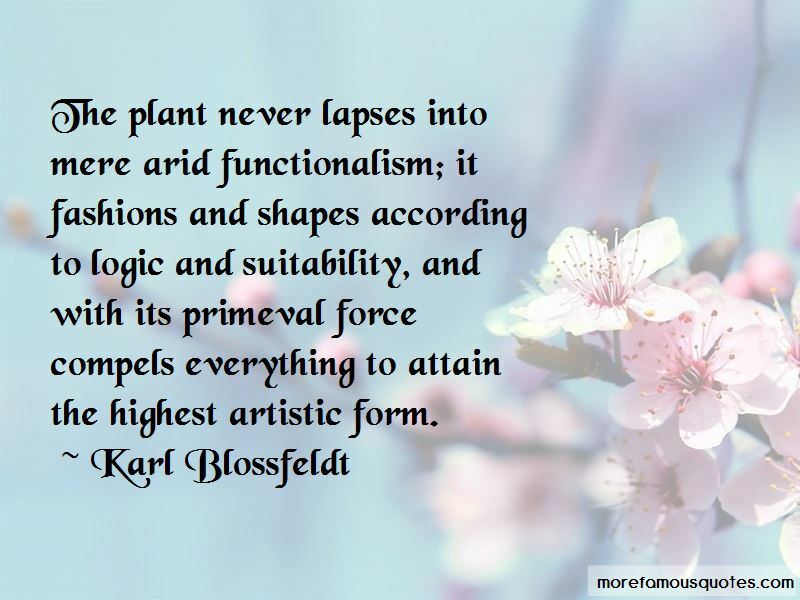 The plant never lapses into mere arid functionalism; it fashions and shapes according to logic and suitability, and with its primeval force compels everything to attain the highest artistic form. 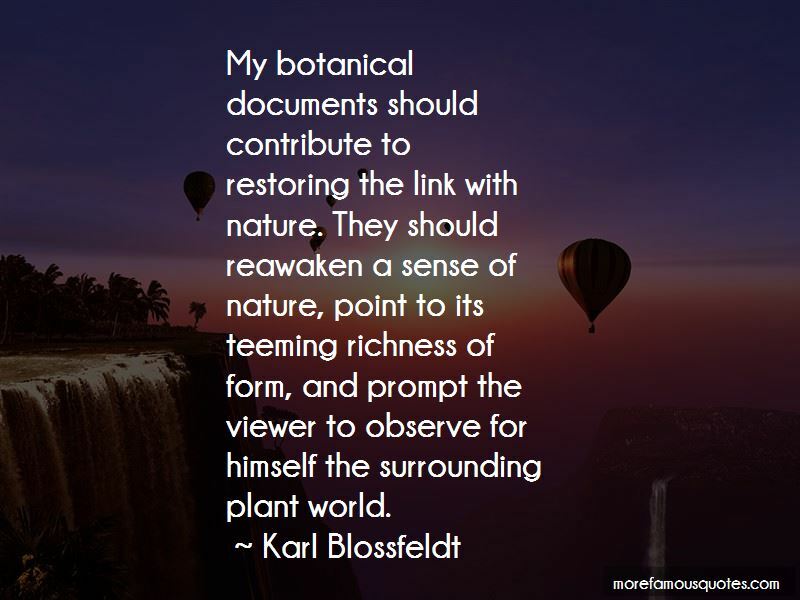 Want to see more pictures of Karl Blossfeldt quotes? 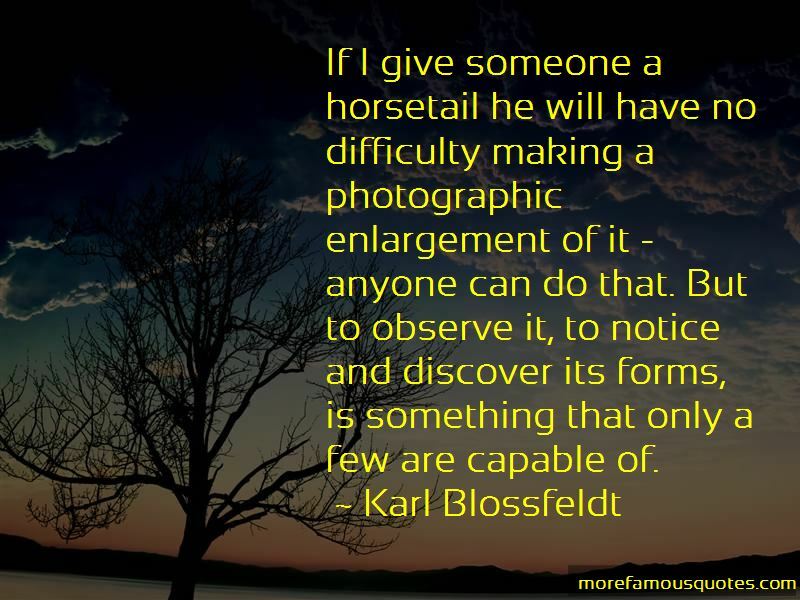 Click on image of Karl Blossfeldt quotes to view full size. “For years, I labored with the idea of reforming the existing institutions in the South, a little change here, a little change there.” — Martin Luther King, Jr.
“Never regard something as doing you good if it makes you betray a trust, or lose your sense of shame, or makes you” — Anonymous.